The vocation of teaching music is a crucial part of the music world. Every single musician, at some point, was probably mentored by someone who helped put them on the path to mastery. Music education is a part of the music world that has affected almost every person in the industry, and even those outside of it hear the effects. Consequently, if you teach music, you deserve to be served and supported! And we here at Modacity want to provide you with resources to help you and your students get better results, week after week. What does a music teacher actually do? Obviously, they teach music, but let’s dig a little deeper. The duty of a music instructor is to guide a student’s progress via processes of discovery, direction, modeling, and personally-tailored interactions. Teachers help their students prioritize and organize their efforts. All of this comes together with the crucial and ongoing process of helping the student implement and experience quality music practice. Without practice, all is lost. And with the wrong practice, harm may be done. Put simply, it’s not enough to teach. The student must do what is taught, and do it well. One of the goals a music teacher strives for is to move their students through the four stages of competence. By helping students discover new skills and opportunities to improve, the instructor initiates the student from unconscious incompetence into conscious incompetence. From there, the teacher guides the learner through conscious competence to the final phase of unconscious competence. This four-phase cycle is constantly refreshing for different aspects of musicianship. For example, with brass articulation, it may take years (even decades) to move from incompetence to complete automatic mastery. At the same time, it may only take a week for a student to learn a new scale. Music students have performance milestones such as recitals, competitions, or auditions. These milestones give importance and urgency to practice. At the same time, immediate performance needs must be balanced with long-term cultivation of great musical fundamentals and technique. 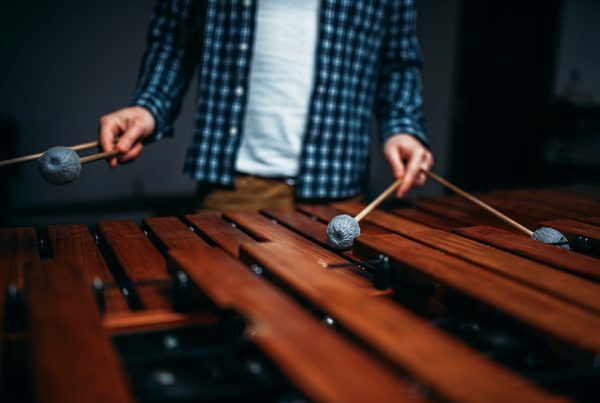 With clear, positive, and well-organized feedback given to them by teachers, students can focus on practicing with excellence to appropriately prepare for their next performance and a lifetime of musicianship. Sometimes, students just don’t do what their teacher says to do! 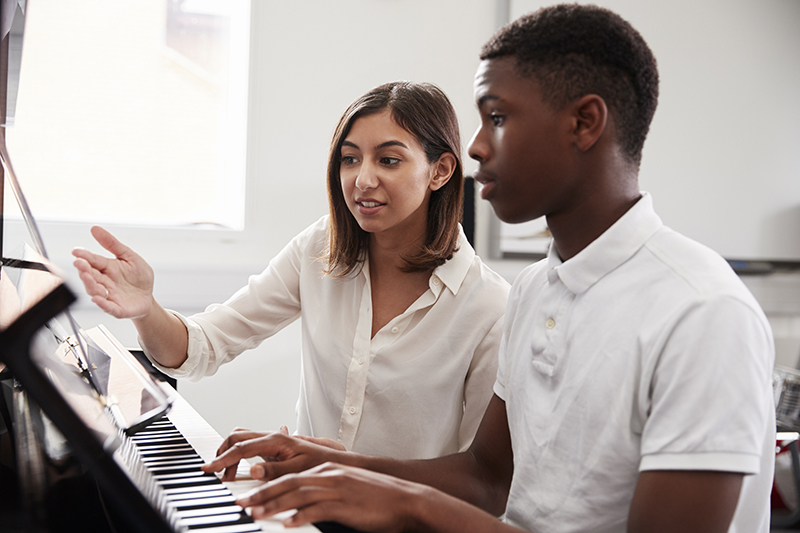 If you’re a music teacher, you’ve probably been in situations where you gave your student very clear action items and they just didn’t follow through with any of them – or even worse, they claim they did but you just can’t be sure. Furthermore, as if trying to get a student to practice isn’t already hard enough, a teacher also needs to help a student organize all their music and navigate the parent/teacher relationship wisely. When these elements don’t align, the student starts to stagnate from week to week. So what’s a music teacher to do? Don’t worry – there are ways! Keep on reading to find out how you can use technology to enrich both your teaching and your student’s results. Nowadays, tech is everywhere and most of your music students probably spend a good deal of time on their phones. And right now, you’re probably thinking, “Yeah, that’s why smartphones should be banned from practice room altogether!” But what if the younger generation’s attraction to their phones could be leveraged? Most would agree that technology, despite its many cons, has made many complicated processes simple. 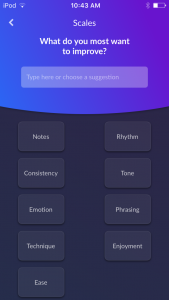 At Modacity, we believe the marriage of smartphones and music practice can actually accelerate mastery, and even solve some of the above mentioned pain points. Try giving your student Modacity! Ready to at least try integrating technology into your lesson time? One easy way to do this is to use Modacity. If you aren’t already using it, what are you waiting for? 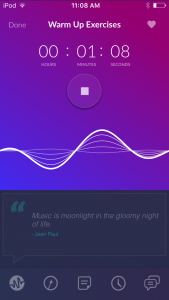 Modacity is the music practice app that organizes, focuses, and tracks your progress. 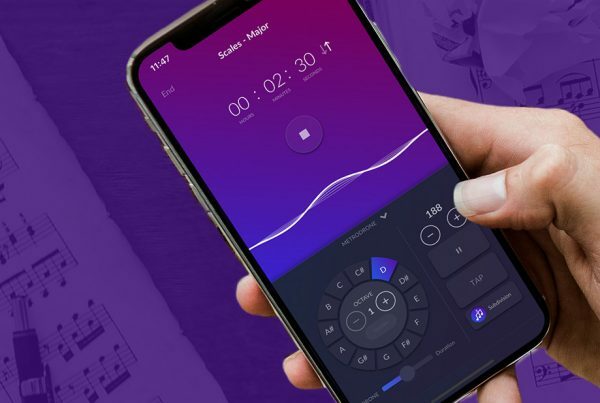 It combines all the tools you need – journal, recorder, metronome, tone generator, timer, and note taker – into one easy-to-use app. 2. Next, talk the app up! Let them know about all the benefits Modacity will bring them. Explain to them how they can get organized, efficient, and focused by using playlists and timers on practice items. 3. Create a precomposed practice routine that you and your student can practice together. Practice together with Modacity. Record yourselves. Use the improve button. Take some notes. Be a part of your student’s first experience practicing with Modacity, just like you would their first experience playing a new instrument. To see exactly how you can do all of this in Modacity, check out the images below. 6. At the next lesson, review your student’s stats and ask them how practicing with Modacity went. Still not entirely sure how to structure your playlists and practice items for your students? Here’s an example Modacity playlist! 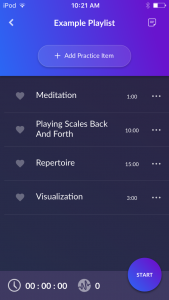 As you can see, Modacity’s playlists and practice items were built to effectively organize music practice and save time. The time tracking features can also help with transparency in the relationship you have with your student, and help you to know where your student spent his/her time. Stay updated on our features – go to our FAQ page to get on the beta and be on the cutting edge of all updates to Modacity! Email or use our in-app chat feature for any support requests, or feature suggestions. 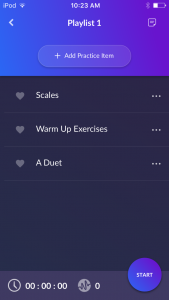 If you’re an ensemble or band director, tell your students to add all daily warm up exercises and performance pieces to their playlists in Modacity. Make it a point to talk about budgeting practice time. Be sure to stress the importance of scheduling in practice breaks and set times for visualization. 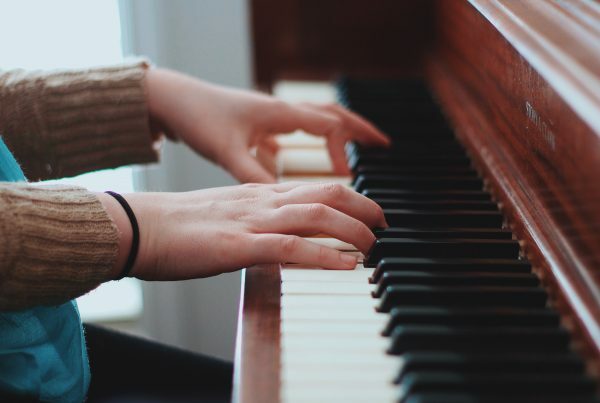 If you have a practice time requirement, be sure to frame it in an exciting & empowering way – students should not feel like practicing their instrument is a chore! If you have any feedback for us, please don’t hesitate to contact us at hello@modacity.co. We also love to hear about how musicians are using Modacity. So if you have a story, please share it with us! Additionally, if you’re looking for a studio discount, let us know! You can email us at the above mentioned address.